Ultimately, I’d want to design a tray that could hold as many as six or more CPUs, but before I could do that I’d need to make a single CPU holder first. If the dimensions worked out properly, I could simply multiply it to create larger trays. I had initially used FreeCAD to create shapes when I first got the printer, but I struggled to create even basic designs. That’s when I found SketchUp – a product previously owned by Google. A free version of the software exists that is totally web based, but I’m using the older free version of the software for Windows that can still be obtained. I won’t get too much into how SketchUp works, but I will say that the interface is very intuitive with great drawing tools. I especially love the ‘Push/Pull’ tool – you draw any sort of flat shape, and then push or pull it into three-dimensional existence. I’ve still got a lot to learn, but it really didn’t take me long to get comfortable enough to design something like a CPU tray. To make sure that the CPUs would fit loosely enough not to get stuck, I created the opening about a millimeter bigger than was required. I also left about the same amount of space around the indentation where the pins rest. The CPU also sits deeply enough in the tray so that the lid can be fixed on even the ticker P3 Tulatin CPUs. You’ll probably also notice a small notch in the corner of about 2mm where the missing pin is on all socket 7 and socket 370 processors. I didn’t really need to do this, but it forces you to put the CPU in the correct orientation in the tray. Overall, I’d say the careful measurements I took paid off – the processors and lid fits perfectly! The hole in the center of the tray helps to reduce print time. The total print time for the tray was about two hours on my Monoprice Select Plus. The lid was about an hour. I used 40% infill, but it’s only used for the outside border of the tray and 100% doesn’t really slow things down much. The dimensions I used in SketchUp didn’t match exactly to the actual printed tray but were very close – within about 0.5mm or so. I’m sure I could have done some tweaking to increase the accuracy in Cura, but it probably would have slowed down the print quite a bit as a result. At any rate, it’s close enough and I’m very happy with the result. Stay tuned for another post where I’ll get additional 3D models created for more CPUs. I’ll probably shoot for a 4xCPU tray and a 6xCPU tray as well. Once I’ve got them finished, I’ll share the model files for anyone else who’s interested in printing these. Update (4/3/2019). I have completed some of the 3D models for a single, quad and 6-way tray. You can find the sketchup model files here. 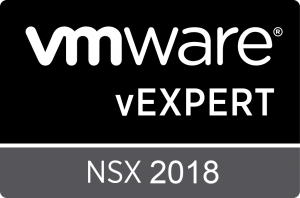 Previous Previous post: NSX 6.4.3 Now Available!